If you are always handling color printouts then a monochrome machine will not come in handy. Although this should not only be the parameter to base your printer purchase, you also have to check on print speed and general functionality to make a decision. 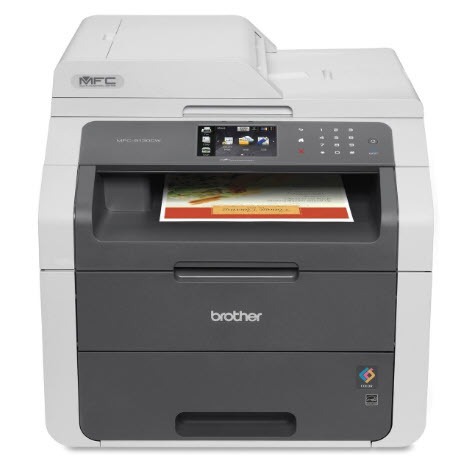 This is office equipment that runs on a print resolution of 600 by 2400 dpi. It can copy and print plain paper documents at a speed of 23 papers per minute for black and 19 ppm for colored printouts. The input tray capacity is 250 sheets with an automatic document feeder to run programmed output processes. All the three functions (scan, copy, print and fax) prove convenience. It has no limit on the special paper, in fact, you can now opt for the manual feeder to get the right printing spot. You can easily send the soft copy documents to a web page using the third party integrations supported by the machine. The touchscreen allows you to efficiently navigate through all the functions. The wireless connectivity is a plus when it comes to virtually handling the machine and also the mobile output operations. The monthly volume of 1500 pages and the USB ports on this machine proves the efficiency in bulk office processes. 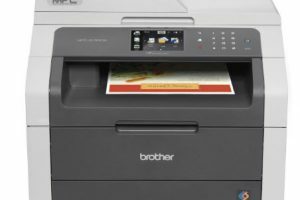 Brother MFC-9130CW Printer Driver is licensed as freeware for PC or laptop with Windows 32 bit and 64 bit operating system. It is in printers category and is available to all software users as a free download.